What is a Risk Profile? No matter the organisation involved or the approach used, risk will never be completely eliminated from business activities. Instead, the goal of risk practitioners is to enable a project to meet business goals in the presence of uncertainty. 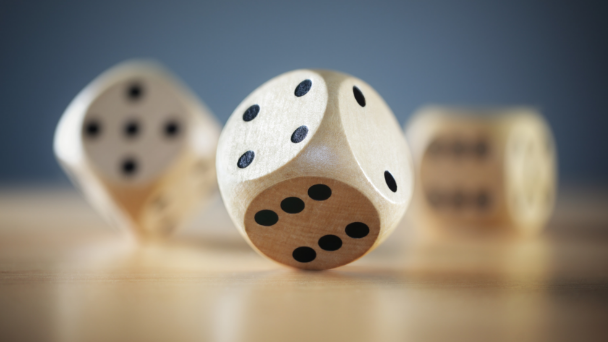 To create a risk profile, various variables – representing different types of threats – are allocated numerical values, which gives the organisation a more objective understanding of the risks they face. The significance of a risk profile is influenced by an organisation’s risk appetite, defined by the Institute of Risk Management as the amount and type of risk that an organisation is willing to take in order to meet their strategic objectives. Risk appetites will vary according to an organisation’s culture, sector, objectives, and the type of risk in question. Appetites may also change over time. What are the Benefits of Creating a Risk Profile? No business can ever protect itself from all potential threats, but, by creating a risk profile, you can more confidently and effectively predict the types of incidents your organisation may be impacted by and react accordingly. Risk and vulnerability analysis are also key to creating effective contingency plans and crisis simulations. Risk profiles ensure that all assumptions about risks are couched in terms of numerical impacts and probabilities so any dialogue about risk becomes purely technical. By removing gut feelings, arbitrary scales, and qualitative terms from the discussion, the calculation and communication of risk becomes standardised and more reliable. Risk profiles mean that contingency budgets can be more accurately estimated and reduce the amount of guesswork involved. By integrating risk profiles into cost planning, you can develop scenarios to better steer what extra resource, time, and money you should be budgeting. What Should Happen After Risk Profiling? Creating a risk profile for your organisation should never be purely an academic exercise – in reality, risk profiles are next to useless unless effectively communicated. For messages to be absorbed and taken seriously, the audience needs to have confidence in the communicator and trust he/she is well-informed and experienced with the topic. The message should be meaningful to the audience, relevant to their circumstances, and ideally, provide some affinity with their values. Bear in mind that people often pay most attention to the parts of a message that offer them the most reward. Simple, plain language should be used where possible, while the use of storytelling, analogies, examples, and themes can help hugely with the comprehension of complicated issues. The use of visuals, such as diagrams, charts, and images means data can be much more easily deciphered. Risk communications should be repeated multiple times to ensure they’re fully absorbed. While the basic message should be consistent each time, try to vary the style and presentation to increase engagement. Does my audience actually use and value this channel? What particular values might they tie to this channel? As we've discussed, thorough risk profiling and analysis are a crucial ingredient in delivering effective contingency plans, something we explore in our extensive guide. The document provides a practical framework for structuring and writing a contingency plan, chapter by chapter. Based on established best practice, it’s the structure we use ourselves when helping our clients create a contingency plan. If you’d like to learn more, download the guide now for free. Jamie is leading the Business Development efforts for One Voice International. Although he is new to the industry, he has a wealth of experience across the sales function; for the last 5 years he has been working in the translation and localisation industry building and developing complex language solutions for the E-Commerce, Finance and Manufacturing industries. Jamie has a degree in Sports Development from Leeds Metropolitan University and in his spare time enjoys playing Hockey and Golf and exploring different foods of the world. Is your risk analysis prepared for today’s criminals?